This month was crazy! We had Mother's Day, Memorial Day, birthdays, graduations, I mean you name it and it happened. 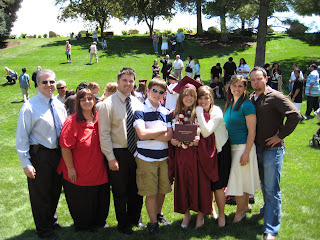 So the last event to post for this month is Brooke's high school graduation. 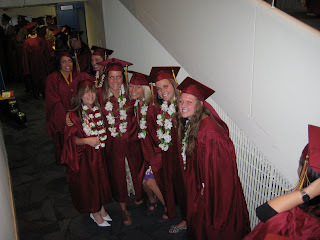 It was weird driving up to the Marriott Center on BYU campus Thursday for Brooke's graduation because it reminded me so much of when I graduated from high school. 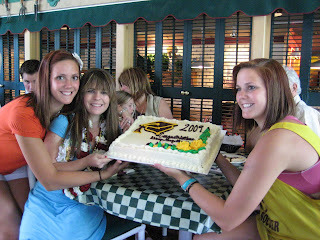 Well, I guess a lot can happen in nine years, but still I thought about those days nine years ago. I remember my senior year being the best. I didn't think it could get any better and then it ended. It's funny I really thought I knew a lot back then and now I think about everything I've experienced since then and I wonder how I thought I knew anything at all. Sometimes I don't feel like I'm even the same person from then to now. It's not like I even know a lot now but I sure as heck know more now than I did then, so that's got be saying something right? Anyway, I'm excited for Brooke. She's worked hard to make this year a success. She's really grown up this year and it's been fun to watch. She's getting ready to take the next plunge into life and move out. 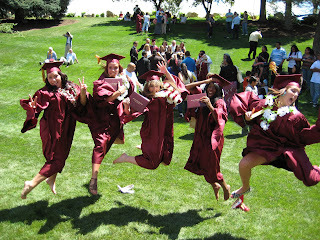 Oh the days of roommates and funness and drama and more funness. Those are good days yet to come for her. WOW!!! That's sooo fun to see! I remember litle Brooke from some of the sleepovers at your house. 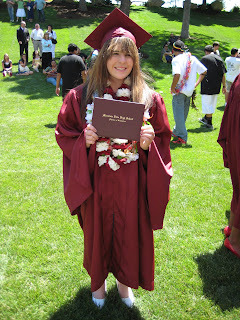 Who would've thought that she would EVER be old enough to graduate from HS! ;) Time moves faster than I ever thought it would! The College Graduate -- Way to go Rhett!! !